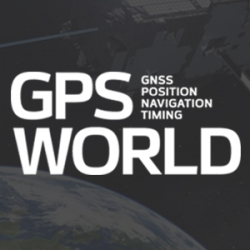 On January 31, Hemisphere GNSS Inc., a subsidiary of Beijing UniStrong Science & Technology Co. Ltd., purchased the Precision Products business and related GNSS technology and intellectual property from Hemisphere GPS Inc. for $15 million US. In a related press release, Hemisphere GPS Inc. has announced the intention to change its company name to AgJunction. As part of the transaction, Hemisphere GNSS acquired all of the high-precision GNSS product lines, all related intellectual property rights and the Hemisphere GPS trademarks and brands. The Precision Products segment generated revenues of approximately $13.3 million in 2012 serving marine, land survey, construction, mapping, and OEM segments. Hemisphere GNSS will operate its business headquarters out of Scottsdale, Arizona, and will maintain its operations in Calgary, Alberta, Canada. With this acquisition, UniStrong is expanding its capabilities in the high-precision GNSS business and also expects to promote commercial applications of China’s BeiDou Navigation System. 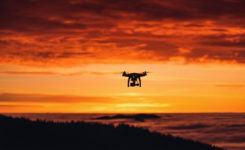 UniStrong is listed on the Shenzhen Stock Exchange under ticker 002383.
Business analysts have reported in China that this is the first acquisition of an internationally renowned enterprise initiated by a domestic enterprise in China’s satellite navigation industry and represents an important milestone in the development of the industry. “The acquisition will create an international route enabling UniStrong to expand its global business outlook, enhance our ability to attract international talent, and lay the foundation for international growth and profitability,” stated Xingping Guo, president and CEO of UniStrong. Hemisphere GNSS’s newly appointed board of directors brings additional GNSS industry experience to the company. The board is chaired by Jonathan W. Ladd, former president and CEO of NovAtel Inc. Also joining the board is Werner Gartner, former executive vice president and CFO of NovAtel Inc.
Beijing UniStrong is focused on GNSS industry, with R&D, production, engineering, sales and service facilities. 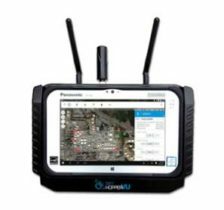 Its technical solutions and products cover GPS/GLONASS/COMPASS receivers, multi-system navigation and positioning, high-accuracy surveying, GNSS data post-processing, and system integration. The re-branding of Hemisphere GPS as AgJunction is an integral part of the strategic re-focusing of the company’s resources on precision agriculture, and part of the restructuring initiated in September 2012. The company maintains ownership of its key patents and leading agricultural brands including AgJunction, Outback Guidance, and Satloc.